The Lincoln Highway Association was founded in 1913 to promote a transcontinental automobile route from New York City to San Francisco. 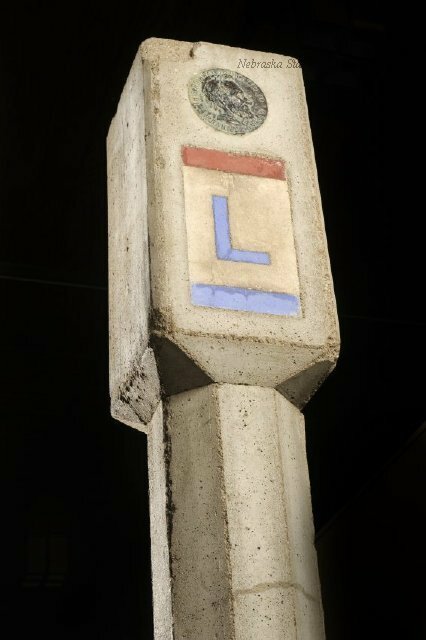 Dedicated on October 31, 1913, the route was marked by the letter "L" within red, white, and blue bands painted on telephone poles or signs. The association conceived the Seedling Mile program to demonstrate the use of concrete as a roadway surface, including projects in Buffalo County and Hall County in Nebraska. The Kearney Commercial Club raised funds to construct a Seedling Mile on West 24th Street from present-day 19th Avenue to 30th Avenue, formerly a dirt road. The Kearney Daily Hub of November 5, 1915, described the completed project: "The road is amply wide enough to make possible the passage of two loaded hayracks without interference." From 1947 to 1987 this location was the site of the Hammer Motel, famous for its sign topped by a giant hammer and three supporting poles made to look like nails. The building then served as student housing for the University of Nebraska at Kearney until 1995, when it was razed. 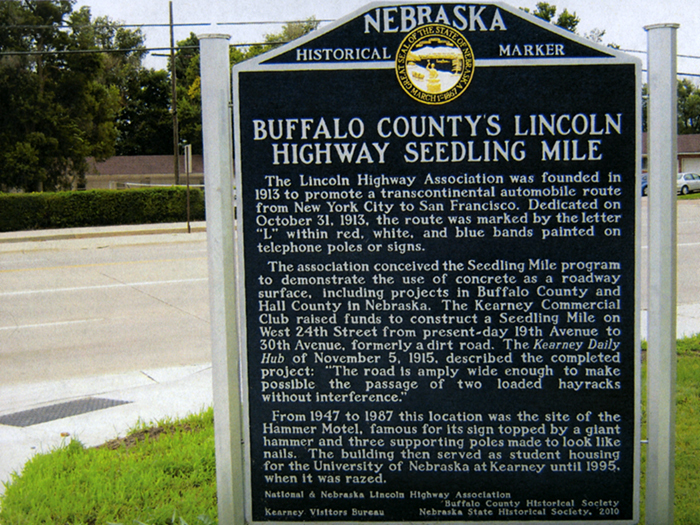 “Buffalo County's Lincoln Highway Seedling Mile,” Explore Nebraska History, accessed April 18, 2019, https://mynehistory.com/items/show/26.